New Vatican guidelines for promoting Vocations to the Priesthood. Check out these new guidelines/pointers from the Vatican on how to increase Vocations to the Priesthood. Pay special attention to the last paragraph. Now most of the points and guidelines are new, but this one is one that has been practiced and known for centuries. 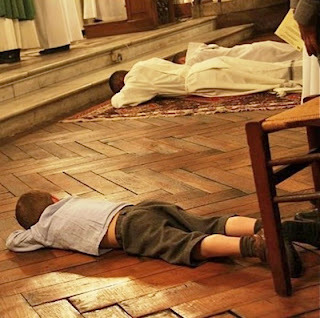 Suggesting that those promoting vocations pay special attention to altar boys is not something new, and it is something that has been proven to pay off time and time again. So the next time you see that guy serving mass, why not give him some words of encouragement, and say “Hey, have you ever thought about the Priesthood?” It may just be the thing that confirms what he has been thinking for awhile and give him the courage to start asking questions of what God wants of him in life. It may just be the thing, that makes a difference in his life, and inspires another vocation. Think about it!